Compare prices from several car hire companies in Tenerife Airport North and find the best price for car rental. Our prices always include unlimited mileage and insurance. 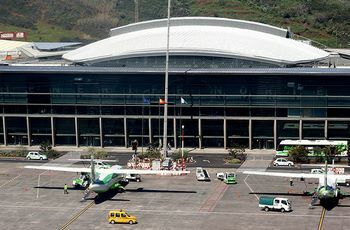 Tenerife North Airport (TFN), or Los Rodeos Airport, is one of two airports located on the Canary Islands’ largest island, Tenerife. The airport is located approx. 11 km west of Santa Cruz, the capital of Tenerife. There are buses to various places on the island, in addition to that you can rent a car or take a taxi. Tenerife North Airport is the smaller of the two airports, but still handled over 4,000,000 passengers in 2010.The airport mainly offers flights within Spain, but there are also some fly over to Germany under the auspices of Air Berlin. At Tenerife North Airport passengers can buy food and drinks at several restaurants. There is also a good selection of shops and other facilities such as banking.